We have a variety of salon furniture, vehicles and structures that we use to facilitate our mobile hair and make up treatments, beauty treatments and holistic therapies for any indoor or outdoor event. We can advise on what would work best, depending on your event, location, time period and the kind of treatments that you want. 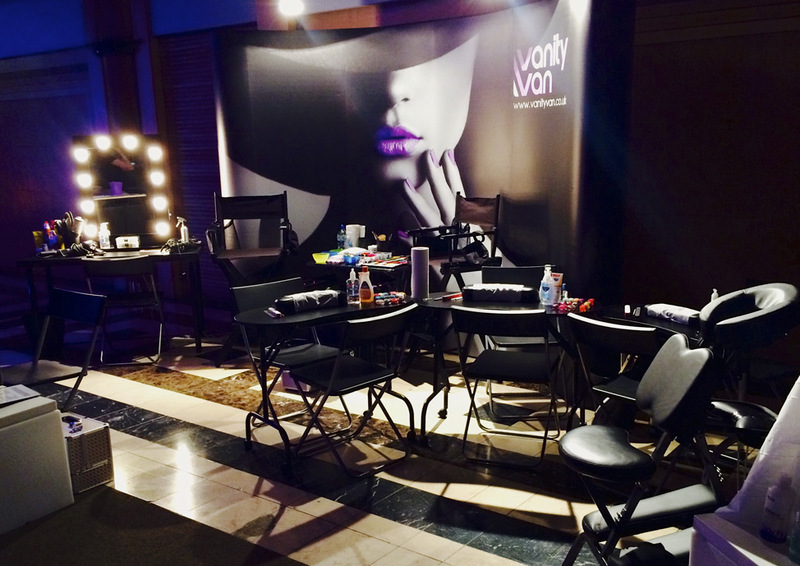 Vanity Van’s indoor mobile beauty salon includes hair dressing stations, nail stations, make up stations, massage chairs and tables, facial beds, a wet shave chair, a reception area and a comfy bean bag waiting room. These are generally black in colour in keeping with the Vanity Van brand, although we can also advise on and order in bespoke salon furniture items to suit your theme requirements or brand colourings. There are a series of different shape and size black marquee structures where treatments can be conducted. These have optional sides to allow for changes in weather. Inside, we can set up the hair, nail and make up stations and massage chairs. We also have a white marquee structure where we can conduct private treatments such as full body massage, tanning and waxing. The indoor mobile beauty salon’s furniture and equipment are included in all the outdoor salon packages. 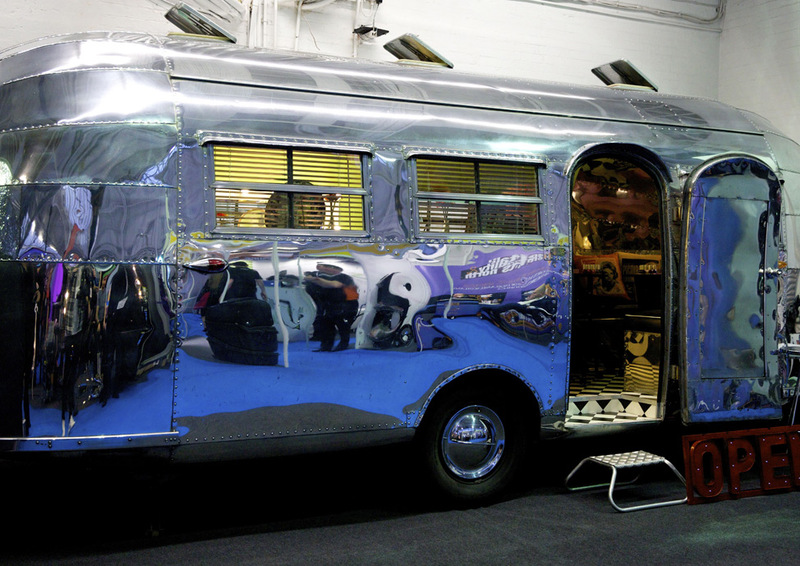 We also have access to a series of stunning silver airstream caravans, some that are kitted out as salons and some that are blank spaces we can create a salon within. In addition we have access to a series of plush double decker buses. These units can be branded up as Vanity Van or as your brand or company, or can be styled to suit any theme.